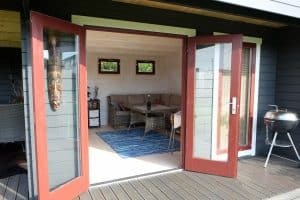 The Hansa Lounge XL is one of our bestselling garden rooms. 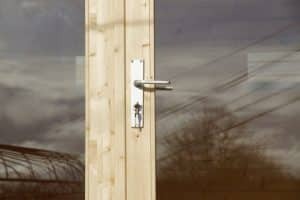 All the cabin components are made from the finest Nordic wood and all doors and windows are double glazed. 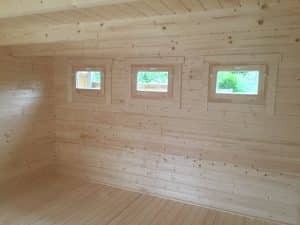 The walls are made from sturdy 44mm thick planks, with solid floor boards and terrace decking at 28mm thick. 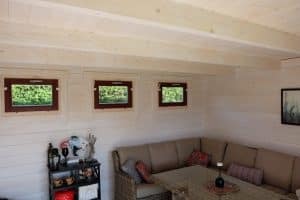 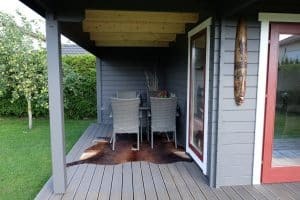 The cabin set also includes four metal rods inserted throughout the entire wall in four corners as well as additional strengthening metal rods in some parts of the walls. 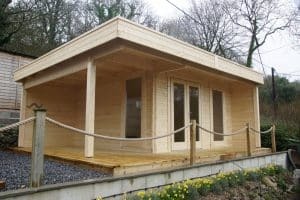 This cabin fits ideally in to the corner of a garden. 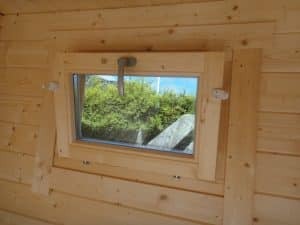 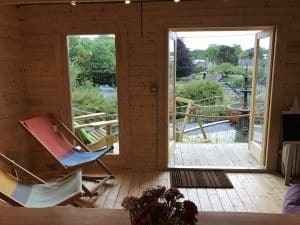 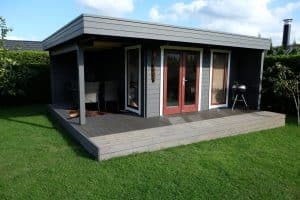 The standard cabin can also be assembled in the mirrored way, with veranda on the right side of the cabin, if that works better in your garden. 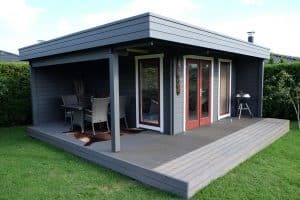 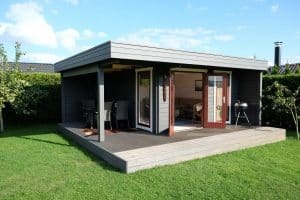 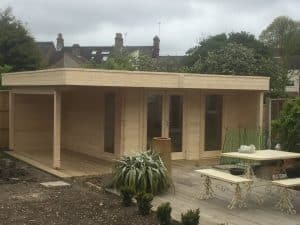 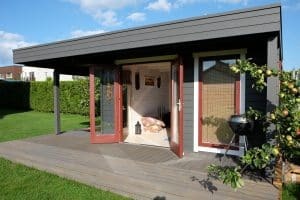 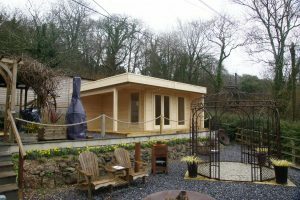 The Hansa Lounge XL garden room is widely used as a garden office, garden gym, TV room, garden living room, ancillary accommodation for visiting friends, garden studio, yoga room, garden cinema and hobby room. 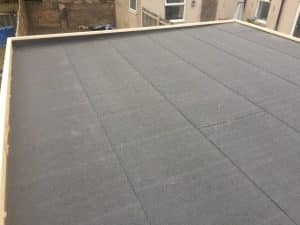 Many of our customers insulate its floor and roof to extend the period of use. 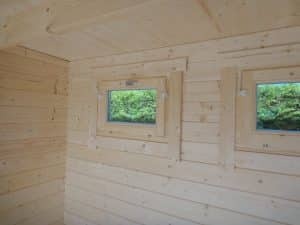 Light heating, such as an air pump or small convector heater, allows you to use the cabin for all year round. 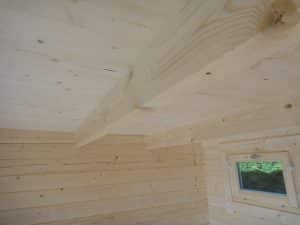 Cabin installation time for two DIYers is usually 2-3 days, while our installation team can put this cabin up within a day. 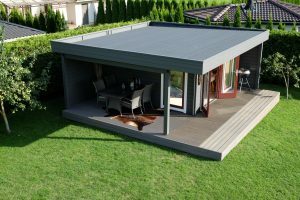 The Hansa Lounge XL is our stock item, which means that this cabin can always been delivered within 2-3 weeks.